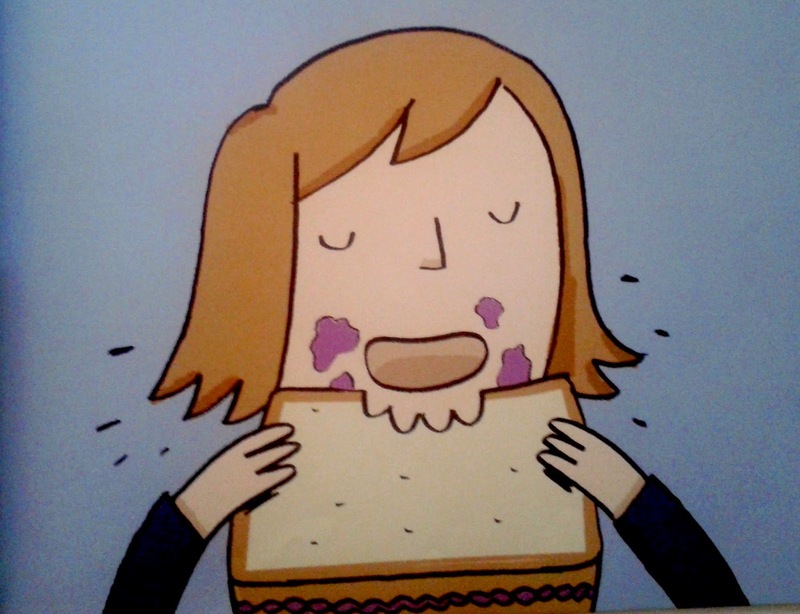 Teach Easy Resources: Fun Picture Book for Back to School! 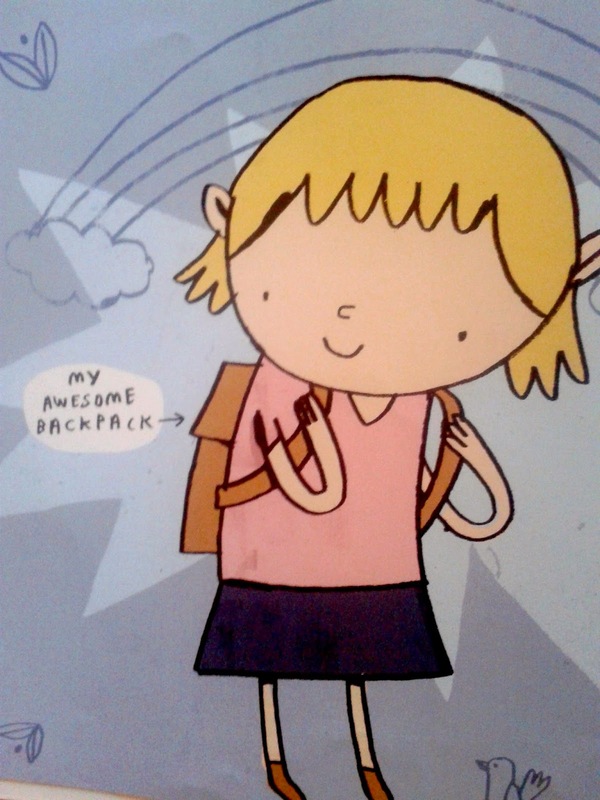 For this week's Picture Book Pick of the Week, I thought I'd choose a book with a back to school theme. When you're finished reading my pick, stop by Deanna Jump's blog to see lots of other choices, too! 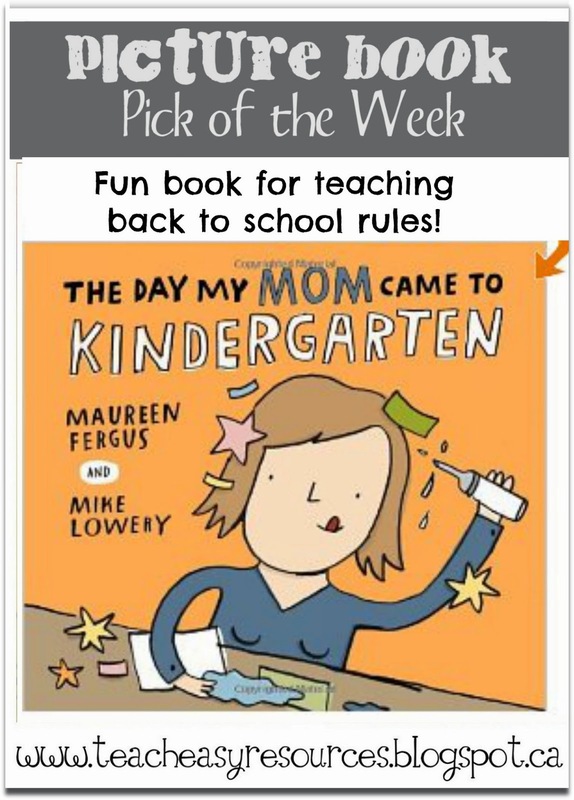 My selection is The Day My Mom Came to Kindergarten by Maureen Fergus and Mike Lowery. 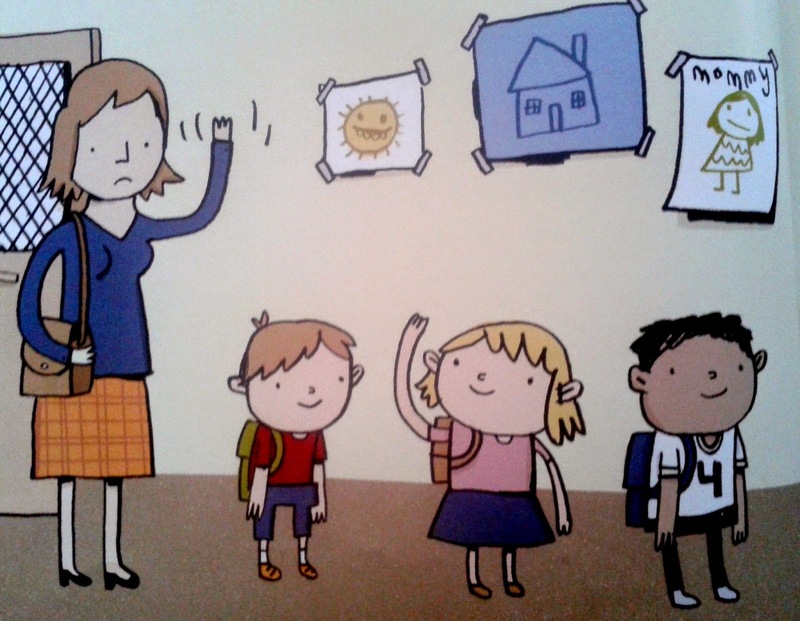 This book offers a funny, indirect approach to teaching children how to behave when first starting school. Since I teach preschoolers, I'm just going to change the word "kindergarten" to preschool when I read it so that the story will relate better to my group! 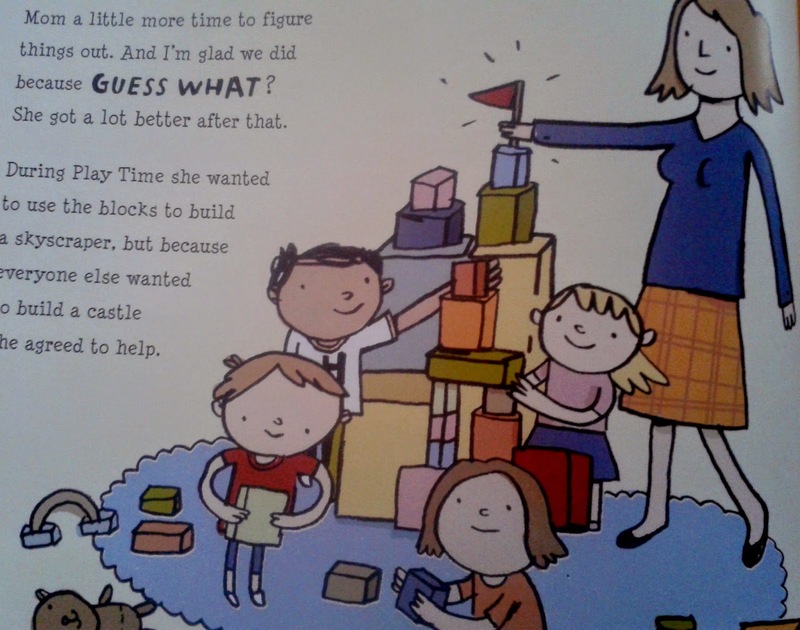 The book opens with a little girl excited to start her first day at school. The only one not excited about the day is the little girl's mother. She's feeling a little sad that her daughter is going off to have adventures without her. 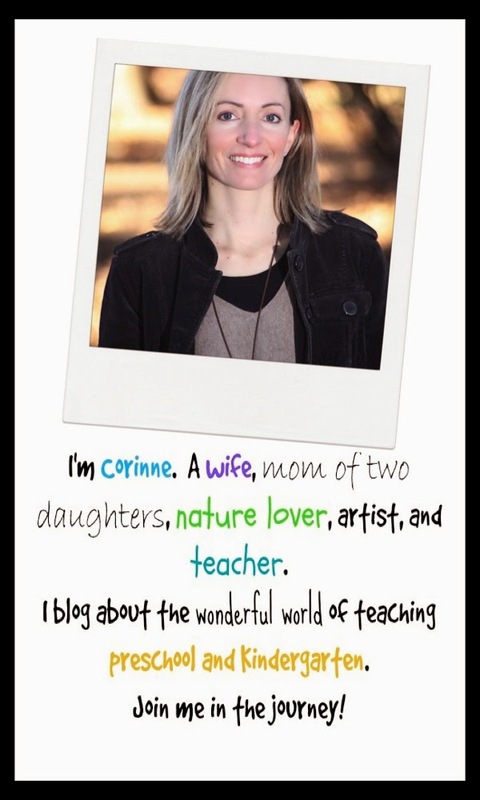 Luckily, the teacher decides that mom can spend the day in Kindergarten, too! 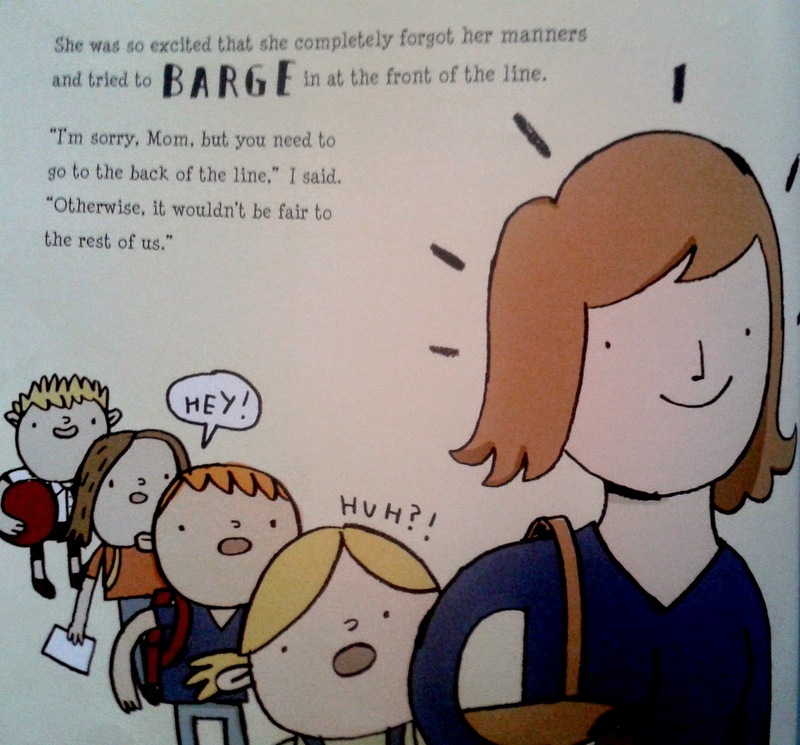 Mom is so excited that the first thing she does is BARGE to the front of the line-up to go inside. Once mom gets inside, she starts running around leaving muddy footprints in her outdoor shoes! Later when everyone is in the library, mom forgets to use her inside voice. Then at snack time, mom drops crumbs everywhere and does not even bother to clean them up! At craft time mom has trouble using the scissors. So she slams them down on the table in a HUFF! 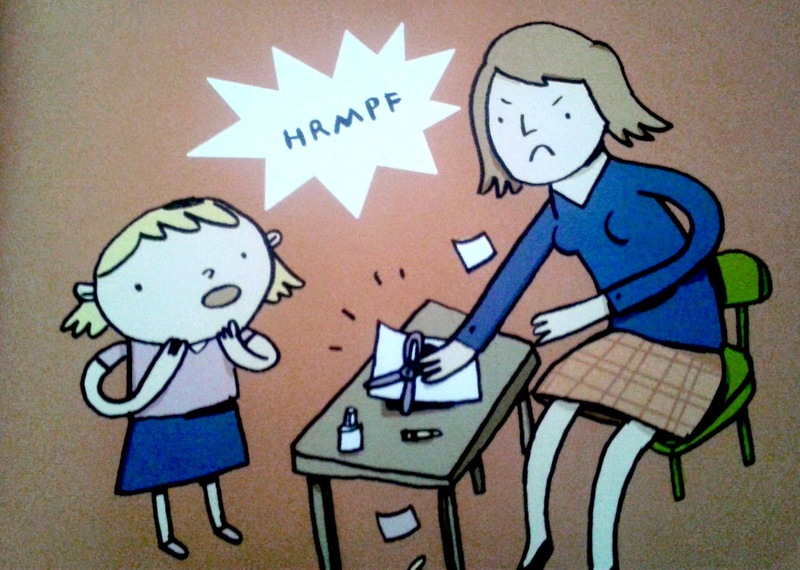 The story continues with mom breaking rules right and left and soon the little girl is FIT TO BE TIED! That's when the teacher tells her, that sometimes it takes time to learn something new. She tells the girl not to worry and that her mom will get the hang of it before too long. And guess what? Mom starts getting a lot better after that. The story ends with the mom deciding that Kindergarten is lots of fun, but that it's probably a special place just for kids. Mom decides that she will stick to working hard in a place meant for people who are bigger - and a place where she will actually fit into the chairs. 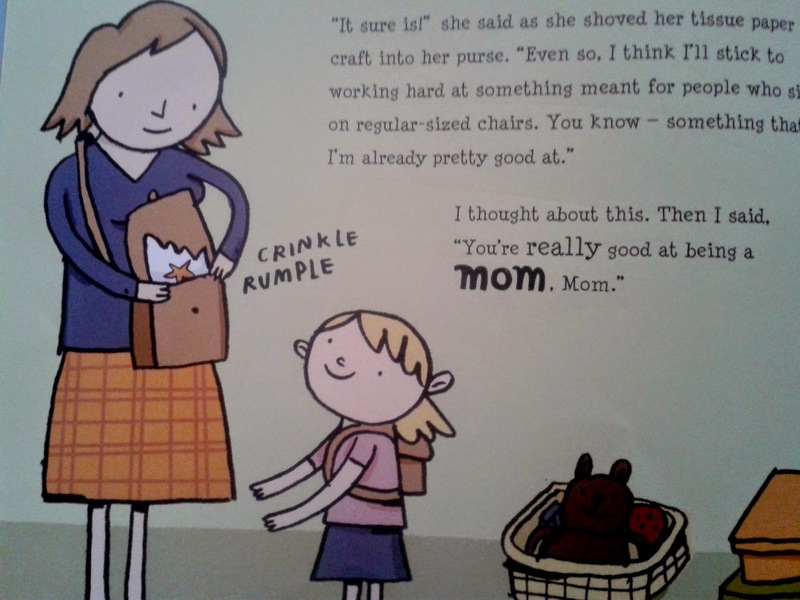 Mom pops her craft into her purse and her daughter tells her that she's already great at the job of being a mom. This book will definitely be on my back to school story time list. 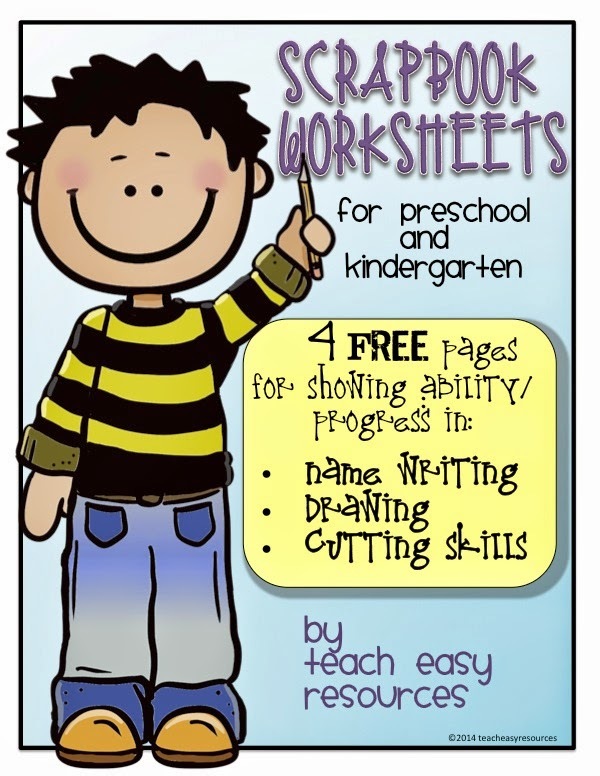 Another thing I'll be bringing into the classroom to start the year, will be the scrapbook worksheets below. I'm offering this set for FREE from my Teachers Pay Teachers Shop right now. Hop over if you'd like to scoop them up! This looks like such a cute book, might be a little young for my second graders though! I know a few K teachers who would LOVE it thought :) Going to have to pass it along. Thanks for your comment, Ashlee. And for passing the book along to some K teachers! Hopefully it will help them in those first crazy weeks! Thanks so much for sharing this book! Can't wait to share it with my kinders! Thanks for the book and the freebie! You're very welcome! I'm always happy to share freebies!